How can I add my Logo to the Login and App window? This blog entry will show you how, without complex changes in CSS or other Zimbra files. It is legal to re-brand the logo if I have Open Source? Yes, the CPAL provides that the attribution should be prominently displayed and the size of the logo should be consistent with the size of other elements of the attribution. Therefore, the size of Zimbra’s logo should be consistent with the size of any other logos displayed in the graphical user interface. If you are using Open Source Edition, per license agreement you must have the Zimbra Logo equal to, or greater, than you own Logo. Failing to have the image or an image smaller than yours will violate the license agreement. How many times do I need to change it? Only once, and if you have your logo and the Zimbra logo in one file, and they are the same size, it should take no more than 30 seconds. How can I white-label the entire Zimbra Login and App window? You must purchase the Network Edition version if you need to do white-labeling in the Zimbra Product. How to White-Label Zimbra Collaboration? 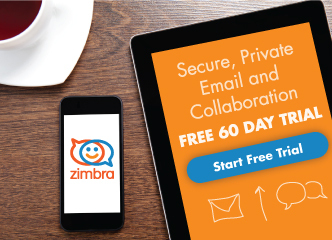 Re-branding the Logo and White-labeling in Zimbra Collaboration are different things. Re-branding can be done in the Open Source Edition following the steps and the CPAL instructions described in this Post. This step is important to meet the license agreement. White-Label is a Network Edition Feature and can be done only for our Customers. Please see the image below to understand each status. One of the benefits of using the Network Edition of Zimbra Collaboration is that you can White Label easily. If you have Network Edition, you can remove the Zimbra Logos, change the colors of the Login and App windows, or even create your own Login page. If you are using Zimbra Collaboration Network Edition, login in the Admin Console, go to the Domain where you want to White-Label following the next path Home > Configure > Domains, then edit the Domain. In the Preferences of the Domain, click Themes. You will be able to select the Colors of the Theme, or you can use an HEX code. You will also be able to add your own Logos and the URL where the logos will point. Remember that these steps, as well as the ability to White-Label your Zimbra Web Client, are available only in Network Edition. This method is easier because you don’t use an external server. However, any Zimbra upgrade will replace your Custom Logos and folders with the default versions. The final result will be something like the following. For best results, use .png images. If you are using the default template, we recommend using white logos or white stroke over your logo. Let us know if you have any questions or issues using these steps. its not working with zimbra open source V 8.0.9 . pls advise. Did you try the commands in the domain example.com and then you went to mail.example.com, or your FQDN to that domain, and doesn’t work? Are you trying the external logos or the internal path? Hi Mohammed, try to apply the proper rights to the Logos, do chown zimbra:zimbra to that files, that can be the issue. it working fine after change the rights to the Logo but there is another issue , my company logo is not show complete when i try to access thru any browser from computers but its working fine with Mobile version when i tries to access it from my mobile its show complete company logo , this issue in zimbra open source v 8.0.9 .
i tested the logo also in zimbra open source in v 8.6.0 and it show the logo complete without any problem . You must be sure to comply the CPAL license keeping the Zimbra Logo as well as use the Image size described in this Blog Post, we can discuss it in a Forum Thread. I’m glad that now it’s showing the logo after the privileges. Hi Mohammed, I think that finally we fixed your issue together aren’t we? Thank you Vavai, I am a truly big fan of your content as well. There is one issue in “Images hosted in external server” method (at least for FOSS edition). If we host logo image in external server and use comercial SSL cert, browsers warning us that our https connection has some security issues. For example Chrome https status icon changes from Green lock icon to Lock icon with yellow warning triangle, obviously because we use logo image from external website. That really can confuse some users. Because of this better to use not recomended method and store logo image locally if you use comercial ssl cert. Also could you please advice how to set the default zimbra logo back? Thank you. So I will add a note into the Blog post about that you must have SSL in the Host for the images to avoid SSL issues in the Zimbra Login App. Thank you for your comment, really good feedback. Hi Jorge, thank you for your reply. It works with https image source perfectly. The step works I’m following. But if i used the IP for accessing the webmail, the logos not displaying. How to make work if we use Hostname or IP to accessing the web for showing the logos on both. Hi Denny, that is not currently possible, as Zimbra uses the virtual-host to determine which logo must use, so in case of the IP, Zimbra shows the default logo. You always search for the .png image inside the server and replace it there, but is not other easy way to do it. how to repair this problem? Review the Blog article, I’ve updated it clarifying some steps. I did this, but I don’t really like the logo. I actually prefer the stock Zimbra image. Is there a way to revert this back to the standard image? Hi, it would be nice to also have a way to revert back. In case something goes a bit wrong. Hi, but the original logos, with different colors, like black, white, and color are in this Blog article, you can use them, also, before touch the logos, is always a good practice do a copy first. Yes, I did found those, and using these commands to try to restore them, as I haven’t created the correct ones, such combining the Zimbra logo with ours. Thats why I want to revert it back. But this is not an urgent issue, but due to some threads I found, it would be nice to have a way to revert it. But, those now can’t appear … going to try the others available. Just let me know if the above is correct. This for client. How about for administration? I think need to replace zimbra admin application banner. I’m using network edition 8.0.9. Any idea how? In the open source edition , can i replace the url that point on my company and zimbra logo image ? How can i revert back to the initial logo ? Thank you so much for such a descriptive explanation. What I understood as a opensource user we cannot change or lighter the blue colour on login page but can we add something on the grey area to make the website lively? As a part of confirmation wanted to know that adding a forgot passoword on login page and adding our companies copyright on login page does not violates any rule. Is not working in Zimbra 8.6.0. Are there a new procedure for thiese version? Not working on latest version. Zimbra default logo disapper after modification as well as my company logo. Im using Zimbra 8.6.0_GA_1153.RHEL7_64_20141215151110 RHEL7_64 FOSS edition. Are you using internal image path or external one? Does that folder, and that file have zimbra privileges? Hi everyone! I followed this Howto and all works fine when I access my webmail through internet, but when I access through VPN (internal IP 10.0.30.13) the logo is not showing up. Is the mailbox service restart really needed? I’ve done the configuration and just running “zmprov fc skin” updated the logos. Hi Fabio. All services was restarted. I ran “zmprov fc skin” but nothing changed.